INDUSTRIAL TURNAROUND LIGHT TOWER RECOMMENDATIONS that Bossltg can offer is unmatched by any light tower provider in the USA and CANADA. 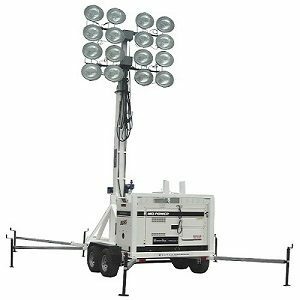 Boss is the largest supplier of portable Ultimate Stadium Light towers from 50′ to 100′ in height with either LED or Metal Halide Floodlights. 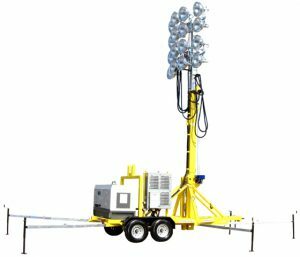 Light Towers that can illuminate up to 100 aces and project light 2500′. 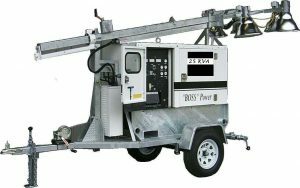 Boss can supply specialty light tower products like our GFI substations with LED light tower packages used by trades, welders, carpenters, and mechanical and electrical installers. 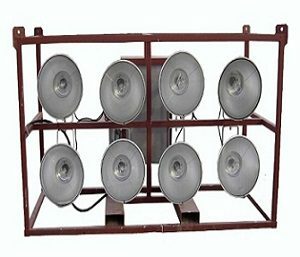 Another exclusive light product Boss offers is Cage style electric powered floodlighting with up to sixteen LED floodlights or Metal Halide lights that can be positioned within industrial plants, battery units. Boss can supply large, up to 45kva, portable diesel generators with specialized electric distribution stations needed to power office trailers with both temporary utility power distribution and security floodlighting all from one product. 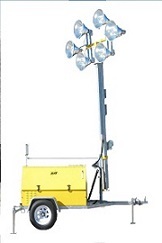 Boss offers both Explosion Proof and Haz-loc electric powered light towers for special application areas of project. Bossltg is proud to acknowledge that we are a UL Certified portable lighting and electrical distribution assembler. We supply not only the light towers and generator products for specialized task projects but also the professional services that it takes to ensure dependable product performance. Boss offers our rental products to clients through our National Rental Company – BOSSLTR. Given the advance notice of equipment needed for long term rental projects Boss will build and rent to clients. We offer nationwide delivery and on-site servicing every 30 days of projects. 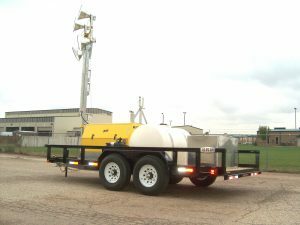 INDUSTRIAL TURNAROUND LIGHT TOWER RECOMMENDATIONS can be directed toward larger project long term lighting requirements with Bossltg furnishing 60′,80′, and 100′ Ultimate Stadium Light Towers and Temporary Construction Pole lighting systems.